In a tiny Italian enclave within the borders of Switzerland, the Italian town of Campione d’Italia faces financial failure after the closure of the Casinò di Campione, one of the oldest casinos in Europe. As the largest employer in the municipality, the casino’s closure leaves a community in crisis. Many towns are built on a single industry (think Detroit or Hollywood), and the failure of that industry spells disaster for the inhabitants of the region. Financial crisis grips not only those immediately employed by the particular industry, but all of those involved in the ancillary services of that industry. The Casinò di Campione employed over 100 workers directly, but hundreds of people involved in smaller businesses supplied services to the casino too, from bakers to delivery drivers. As the sole provider of livelihood for a village of 2,000 occupants, the success of the casino fueled the tiny local community with restaurants, grocery stores, hair salons, bars, and hotels. And as a regular provider of services, these smaller businesses operated with the casino on a credit basis. Now that the casino has been closed, these small operations and their employees face difficulty collecting what they are rightfully owed. Campione was established as the garrison town of Campilonum by the Roman Empire in 77 BC, to protect their territories from Helvetian invasions. The town is situated on the shores of Lake Lugano in a small piece of isolated Italian territory surrounded by Switzerland on all sides. The region of Ticino chose to join the Swiss Confederation in 1798, but Campione chose to remain part of Lombardy. The area surrounding the village was eventually given to Switzerland so that Swiss trade did not have to pass through Italy, and the cut-off region became an Italian enclave. The first casino in Campione was built in 1917 as a place to gather information from foreign diplomats who frequented the area during World War I. 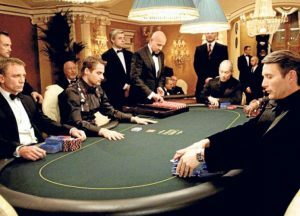 The idea of a casino as a den of spies inspired Ian Fleming to write Casino Royale after his time spent working for British Intelligence. During World War II, the U.S. maintained an OSS intelligence unit in the town. Eventually the town became financially independent from Italy, and supported itself entirely from its casino revenue. In a very ill-timed investment move, the town built a palatial new casino of over a half million square feet in 2007. The new casino was built on the site of the old one, which was demolished. One year after the casino opened, the global economic crisis drove Italy into a long recession from which it still hasn’t recovered. The debt from the new construction project, plus ongoing expenses and salaries, proved to be too much of a burden for the new casino to bear. Eventually, the casino’s credit ran out, and the company could not pay even the most basic expenses. Over 500 employees in the village and hundreds of businesses in the region were owed money they could not collect. The Como court ordered the casino to close in July 2018. The Italian court prosecutors are trying to determine how much of the debt was incurred by financial mismanagement or other causes. 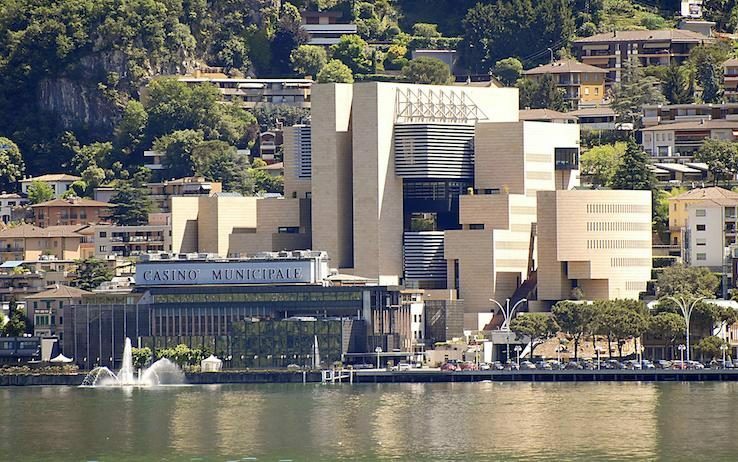 According to a report by the Telegraph, the casino’s debt is estimated at 73 million euros, owed to everyone from casino employees, banks, and Balkan financiers. The effects of long term debt hit individuals harder than companies, and the town of Campione is really feeling the pain of the casino closure. Since the town’s residents have always been self-reliant, the sudden cry for financial support is not being answered by Italy. Switzerland has repeatedly offered to absorb the town, which would greatly benefit from the wealthy Swiss economy. But, Italy has thus far refused to cede the territory. In addition to the financial pain, local residents find themselves the target of insults by outsiders, who seem to take pride in their pain. The image of the town as an enclave for the rich provides fuel for insults by outsiders, who blame the victims. While the largest companies just declare bankruptcy and move on, those left bearing the burden of bad decisions—or just plain bad luck—are the very people who helped the companies prosper. With an uncertain future, the citizens of Campione d’Italia await the decisions of the courts and governments of two countries, and their fate is in their hands.